Everything was springing when I visited this garden in spring. The distance view of the lake and evening island beyond the railing strategically forms a part of the garden design. 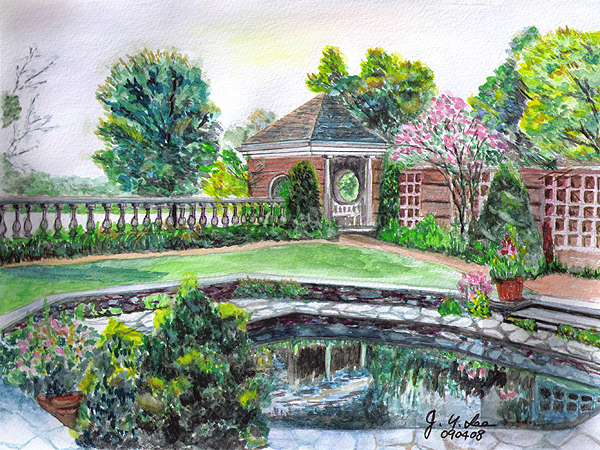 The setting in the corner gazebo provides a tranquil spot for either a short rest from a walk in the garden or a long pause of mental reflection.